A blend of historical fact and imagination. ah biographies, I love them! read it... loved it!! what a life to be the king of england!! the book is going to biba89 now, to take on a holiday in england. Henry is going to travel by train! well, of course not alone... Sopraantje and mrSopraantje are going to give the book to biba on the platform of Deventer central station. enjoy!!! ... and so they did. My heart fluttered when I took this book in my hands. I can't wait to start. Next Friday we leave for England! After some two weeks into my vacation, I finally finished it. Such a good read! I was into the same ideas about this historical figure as the next person: he was crazy, broke with the church, married eight times and beheaded his wives when they did not produce any sons. Now I know that he married only six times, that he did get a few sons, that he beheaded only two of his wives and for different reasons and after all, he did not even behead them himself. It was exciting to read about all the start of all these things rooted in English culture - Hampton Court being built, Cambridge and Oxford established, Dover Castle designed and much more. 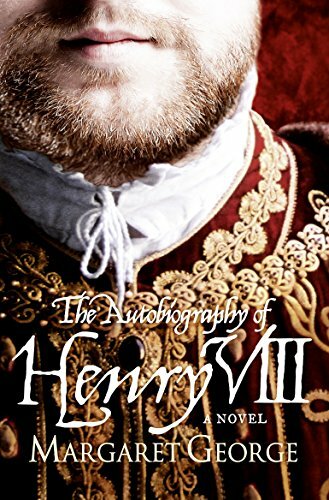 But what struck me most about this book was the reaction of the English when I told them I was reading this so-called autobiography - literally everyone was very strongly opiniated about him. Emotional, even. Up to a point where I realised the writer could hardly have been English, being able to give him this voice of reason, reason even within his lunacy and paranoia. Lo and behold, Margaret George is an American. There you go. This campsite is where we stayed during our trip through England. The owners let me use their internet computer at their house, most generously. I left this wonderful book at their desk as a thank you. They later told me they were going to read it and a friend wanted to read it after them.